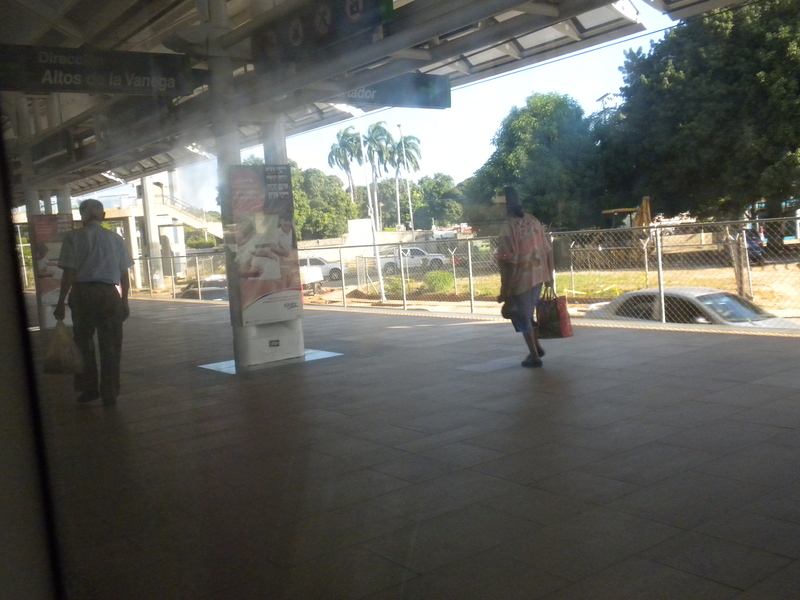 I spent Christmas and New Years in Maracaibo, and I promised CC readers I would take a ride on the Metro while I was there. 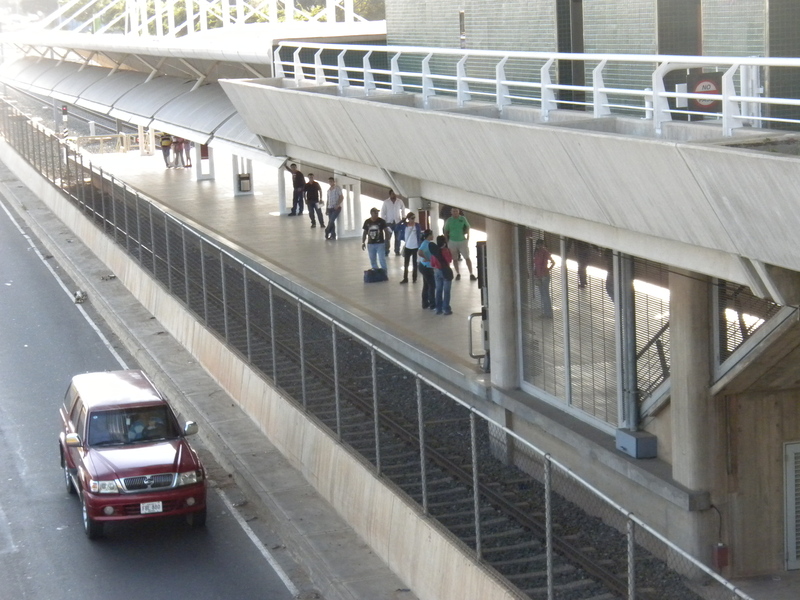 The Metro opened in 2006, just in time for the previous Presidential election. The above-ground train “system” is made up of a single line and six stations. Chavista sources put the cost of the initial line on the order of $400 million. Nobody I know had ever been on it, and I decided to go see it, with an open mind. 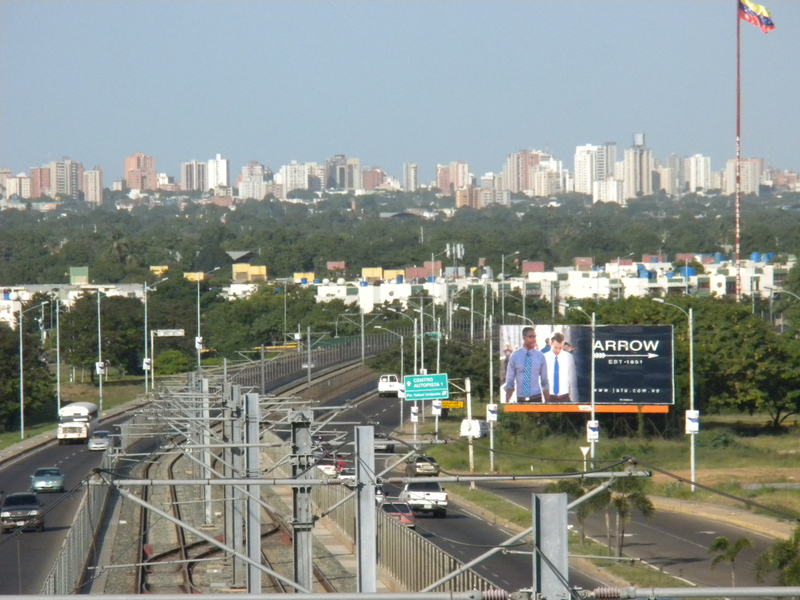 The Metro is not located in the city’s most heavily populated areas. 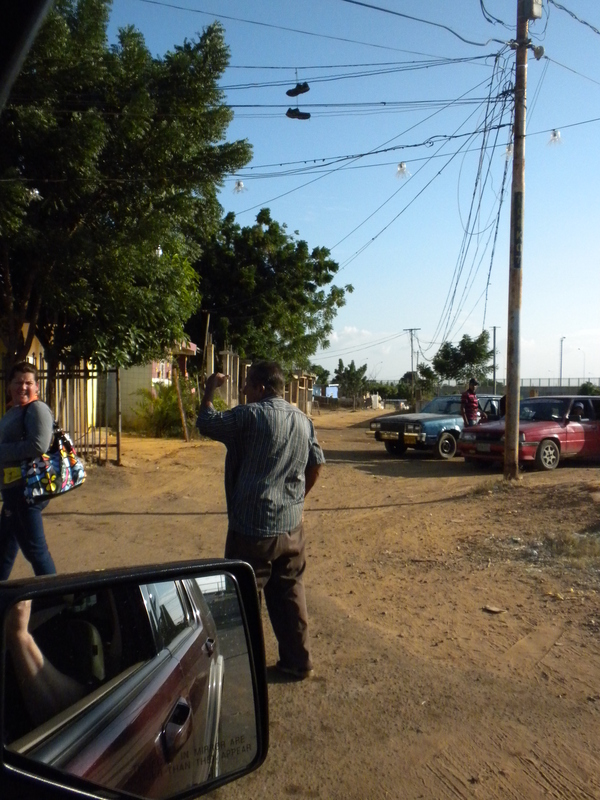 The first of the two terminal stations is in the outskirts of town, while the second one is close to the historic center – about five blocks away, surrounded by unpaved parking lots and the low-grade commerce of the Mercado Las Pulgas. None of the stations are located in important commercial, industrial, or residential areas. 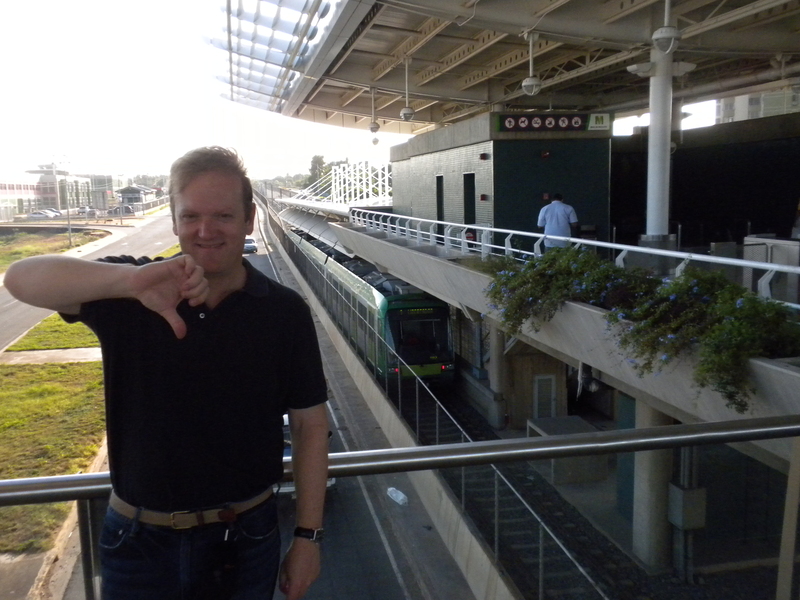 The first thing I noticed when my brother-in-law dropped us off at Libertador terminal station (sight of a horrific near-miss a few months back) is how difficult it is to actually get to the platform. 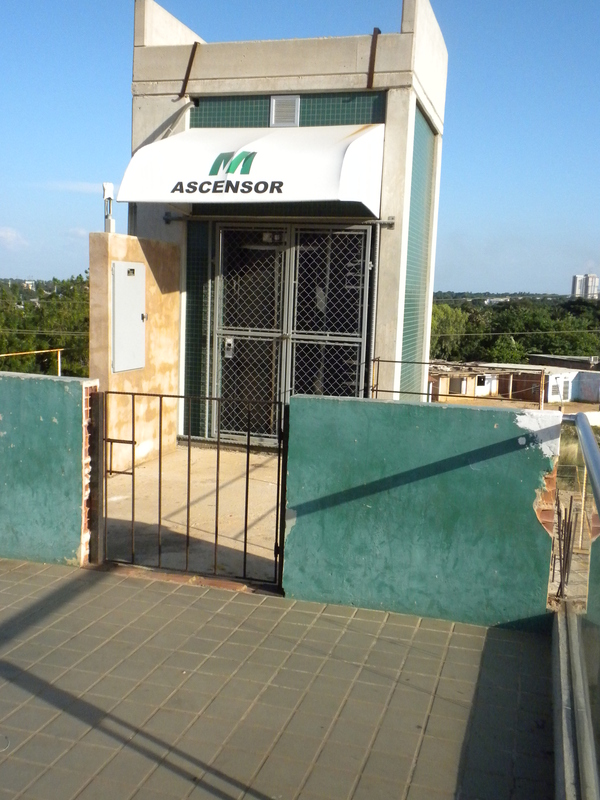 The access stairs are surrounded by busy streets from all sides, marked by a crazy maracucho intersection where pedestrians are considered walking road-kill. Right off the bat, the first impression is a bad one. 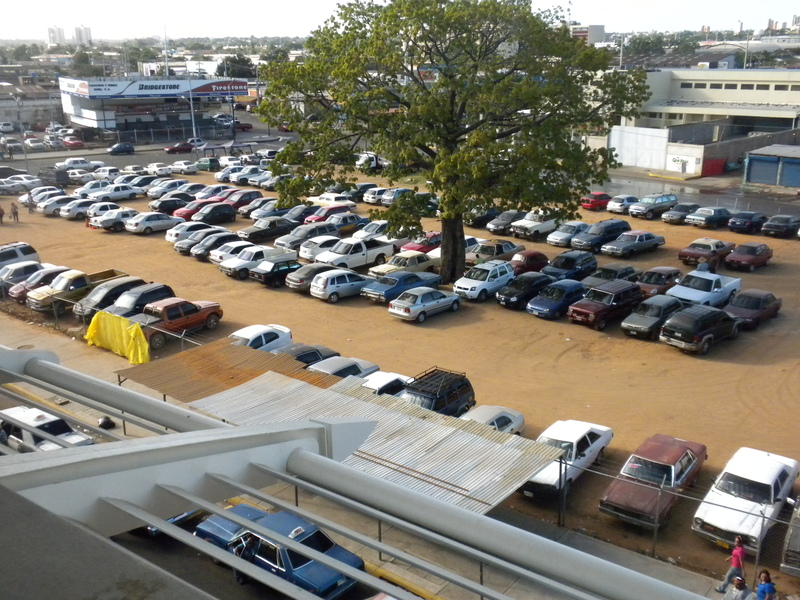 The fare costs 50 céntimos (12 US cents at the official rate). 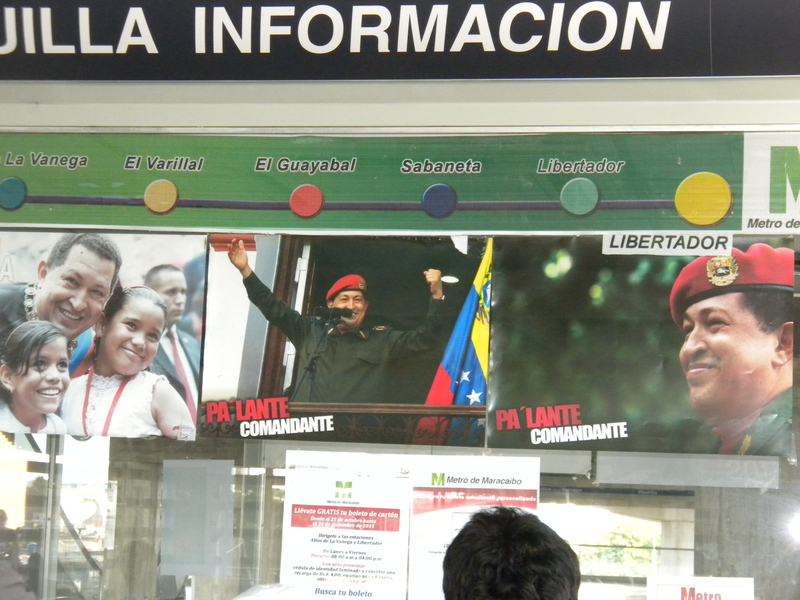 Above the ticket counter, I was greeted by multiple pictures of Chávez, lest I forget who to thank for this wonderful example of public policy. 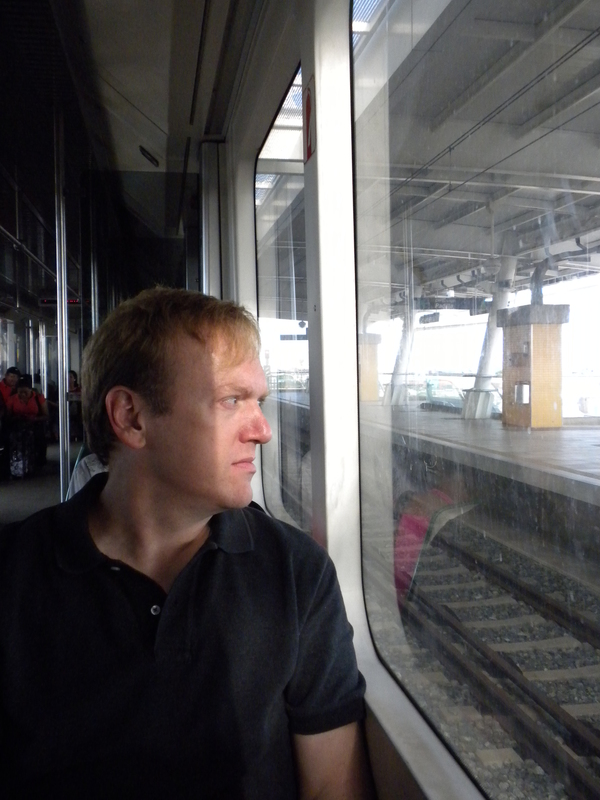 I waited for the train in the warm late-afternoon breeze. I was expecting a packed train, since it was close to five, but did I mention it’s not located in heavily urbanized areas? That means that few people use the darn thing, even at a heavily subsidized price. “If you build it, they will come” – except they didn’t. The next thing I noticed was that there is absolutely no private advertisement on the train. 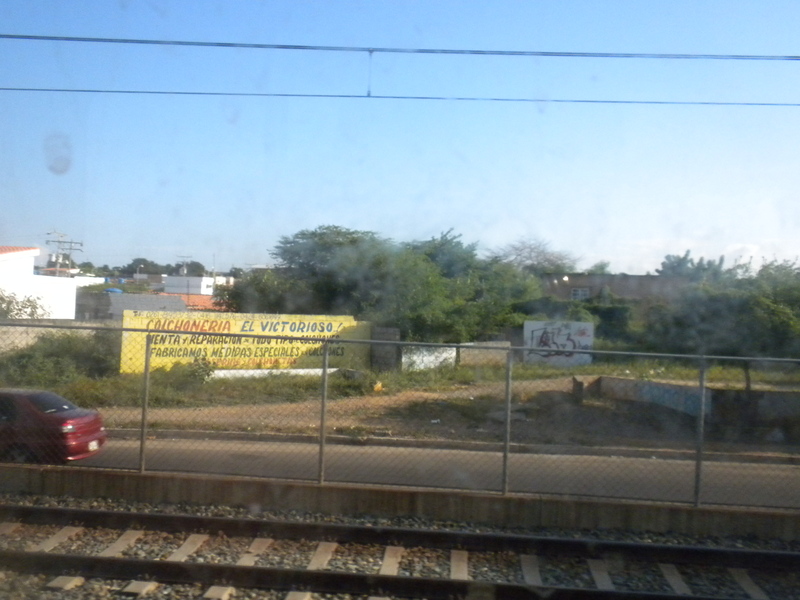 All the ads are from the government, a trend repeated all over Venezuela. During my ride, I went through lower-middle class neighborhoods. A lot of them have dirt roads. There is no new business to speak of, no new housing developments that I can recall. Instead of bringing economic activity to its location, like many Metros do, this one seems to have sucked the life out of the places it goes through. Perhaps it is because the Metro, by going above the surface, actually prevents people from crossing Sabaneta Avenue, thereby dividing previously integrated neighborhoods. It’s like the Maracucho version of the Berlin wall. I noticed few people getting on an off. In one of the intermediate stations, you could count the number of people on the platform with one hand. We got to the Terminal station in a short amount of time, and since we were waiting for my brother-in-law to pick us up, I decided to take some pictures of other things I found interesting. 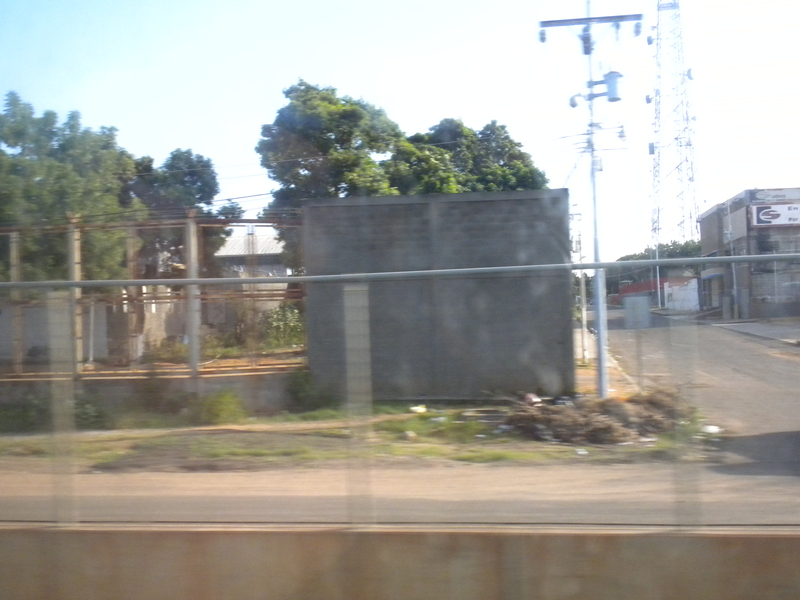 For example, the station has an elevator, but it’s gated up, and has probably never been used. 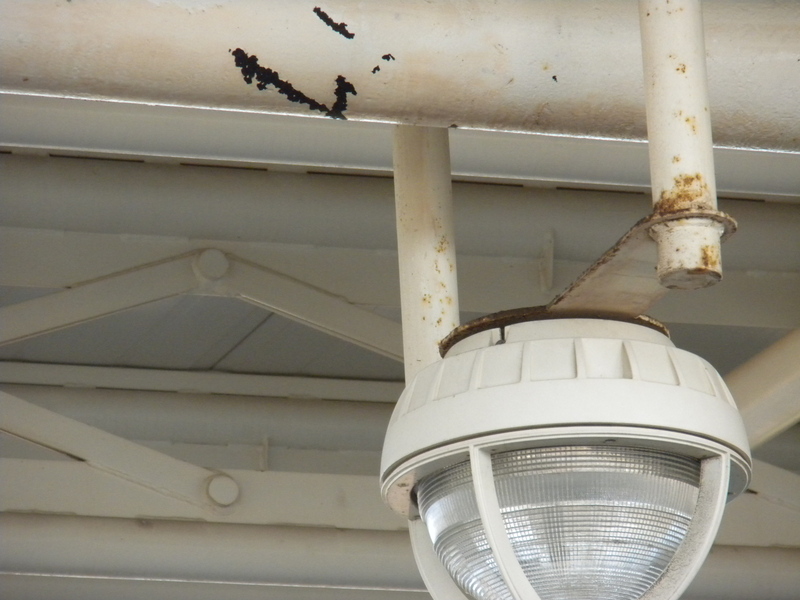 The metallic structure in the station is showing evident signs of rust, so typical of this city surrounded by petrochemical plants. Finally, the signs themselves are horrendous. 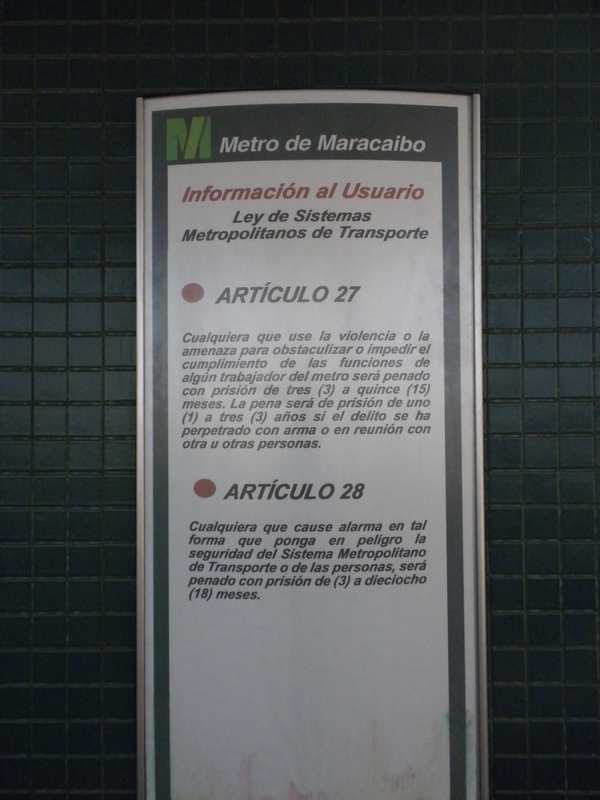 One sign in particular warned against violence, but they do so by quoting articles of some law that most of the people using the Metro cannot understand. The most painful part of all of this is witnessing the rest of the city. It really didn’t need a $400 million white elephant. Its public transportation outside of the Metro is, literally, in shambles. After getting off my train, I saw lines of people waiting to board forty-year old Bella Vista and Veritas carritos por puesto. I didn’t go on them this time, but I hear some of them are so beat-up, they don’t even have a floor in the back seat. Dirt roads, garbage piling up all over the place, no business to speak of, and no money left over for actual public transportation that people use. But hell, doesn’t this shiny Metro to make us feel developed? Teaches Economics at Universidad de los Andes in Santiago, Chile. Former editor of Caracas Chronicles.